These are the first pictures of a brand new obstacle to feature at the return of the world’s biggest inflatable obstacle course – Gung-Ho! – to Cardiff in March. 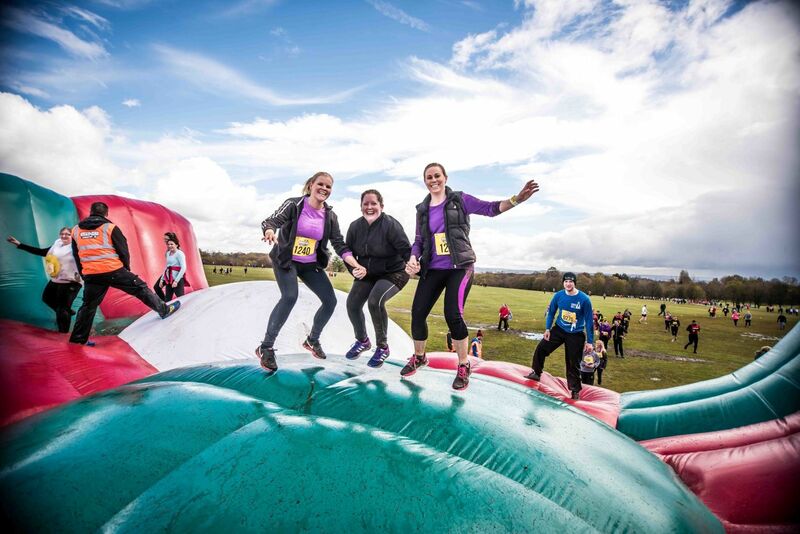 Dubbed ‘the toughest obstacle yet’ by brains behind the event Alex Winters, the 30m long, gauntlet-style ‘Danger Zone’ will be at Bute Park on Saturday 18 March, joining inflatables including Europe’s tallest inflatable slide – the 72ft high, 200ft long Thriller. Danger Zone, filled with as much air as 16 MILLION footballs, is one of three new obstacles for 2017 – added to cope with increased demand for places this year. Cbeebies presenter Alex reckons Danger Zone, twice the length of Gung-Ho!’s other run-through obstacles, will help make this year’s event even more thrilling than the 2016 visit in May. He said: “We are always looking to improve what is already a fantastic, thrilling event, and we think with ‘Danger Zone’ we have really found something special. “It is different to the obstacles we already have and more challenging for people taking part. “However, importantly it will still fit in with what Gung-Ho! is all about – it will be loads of fun and everyone will be able to conquer it, even if it’s with a little help from their friends. “It is like something from the Krypton Factor where you have to dodge, climb, jump and slide your way across it. It looks so much fun and I want to be the first one to have a go on it! Tickets are currently £36 and are available at www.begung-ho.co.uk, but prices go up closer to the event. 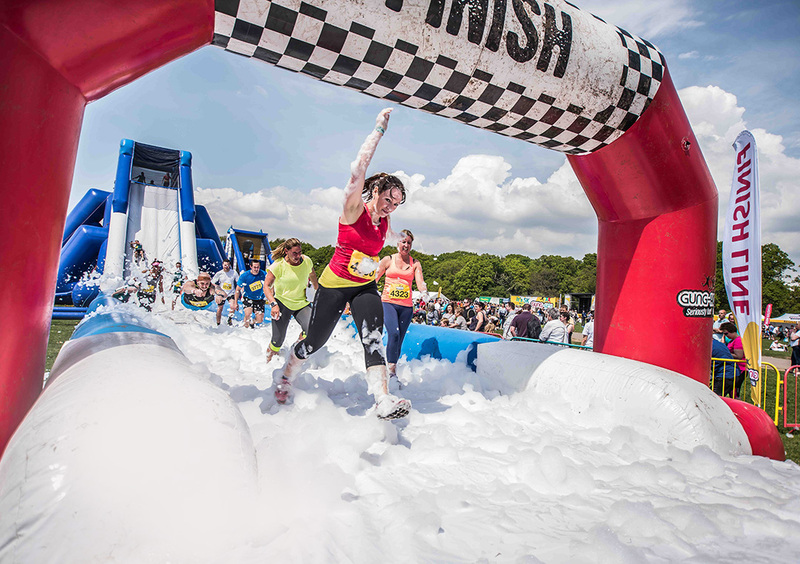 Up to 5,000 runners will take on Gung-Ho!’s ten obstacles, which will be filled with enough air to pump up more than 100 MILLION footballs and include a giant ball pit, climbing wall and labyrinth. This year runners will fly down the five-storey-high Thriller after WATER was added to the fun-filled inflatable – an act inspired by a wet weekend in Manchester in 2016. Alex came up with the idea for Gung-Ho! in 2014 while sat in front of the TV watching Ninja Warrior with his three children. That idea spawned a new craze with more than 100,000 people taking part in Gung-Ho! in the past two years. Many runners will take part for charity, with thousands of pounds expected to be raised for good causes this time around. Participants can go Gung-Ho! in aid of the race’s national charity partner BBC Children in Need, who are offering discounted tickets and a free t-shirt to those who run as part of Team Pudsey, via www.bbc.co.uk/Pudsey. Runners, who must be at least 4ft tall, receive a free bib with race number, Gung-Ho! t-shirt and headband, while any spectators can attend for free. Tickets and more information are available at www.begung-ho.co.uk. Check out Gung-Ho! updates by searching ‘Gung-Ho!’ on Facebook and on Twitter, at @begungho.